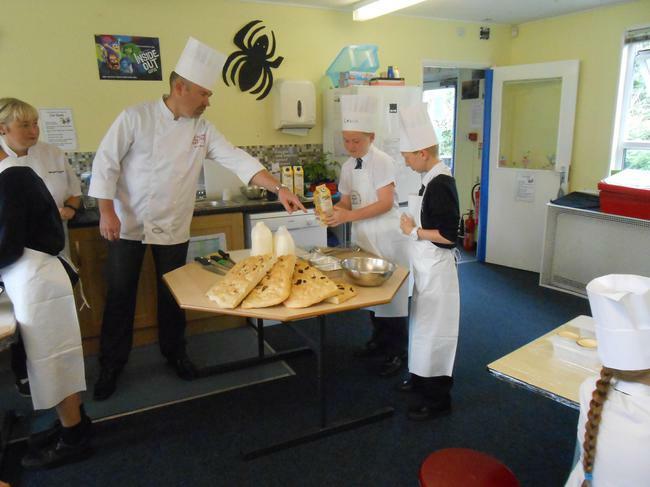 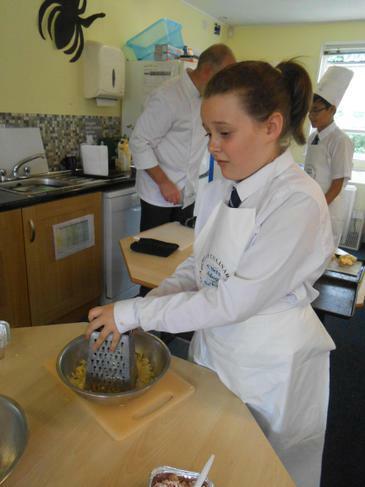 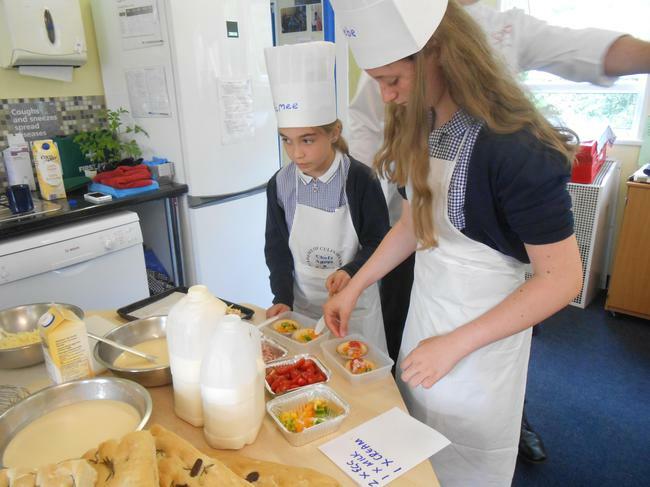 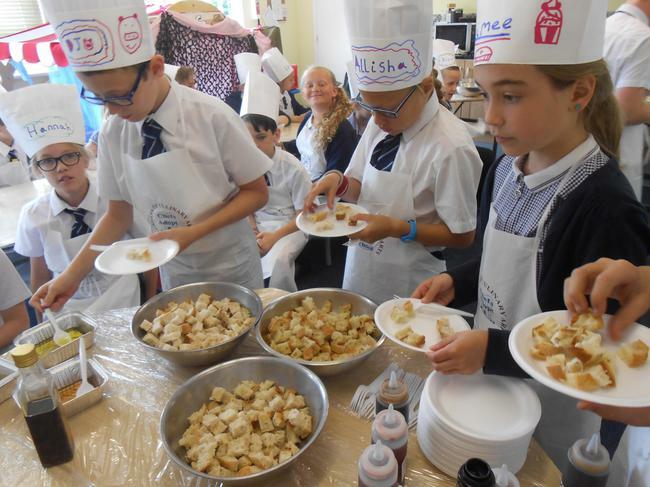 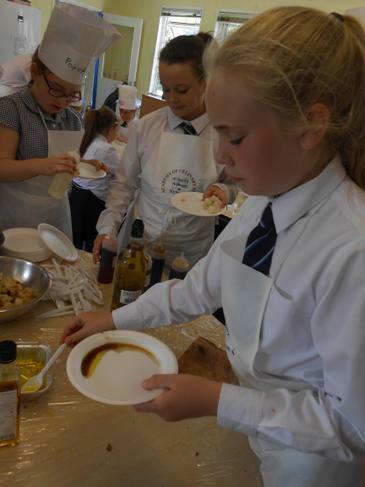 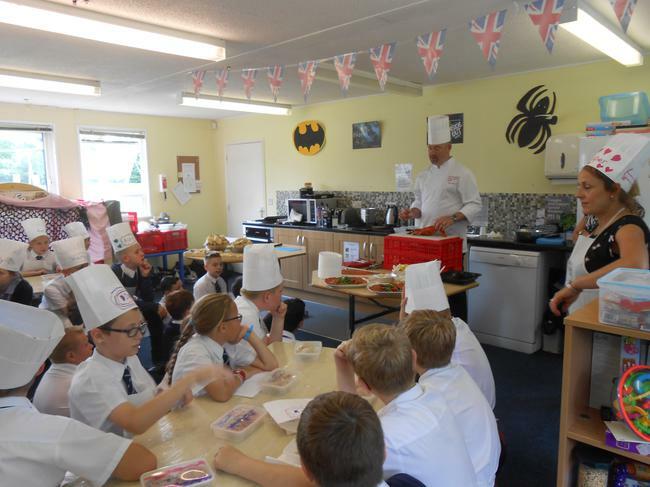 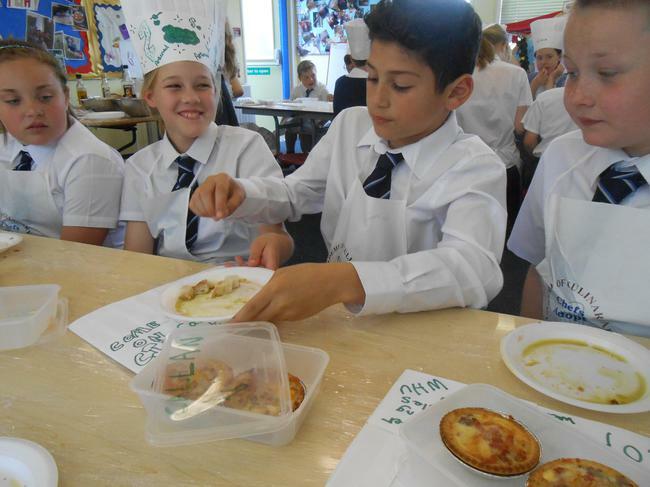 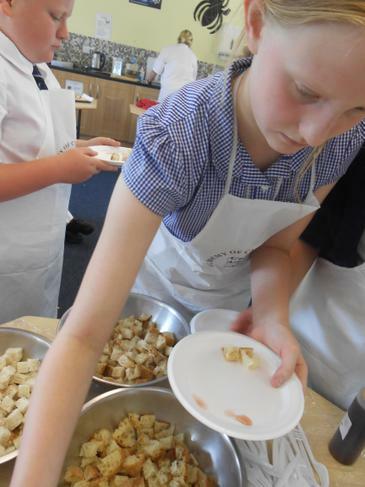 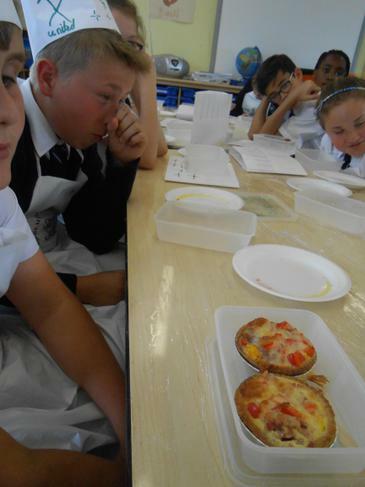 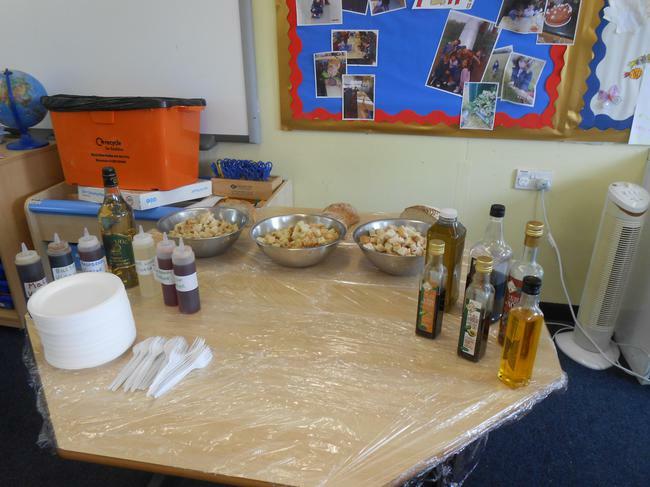 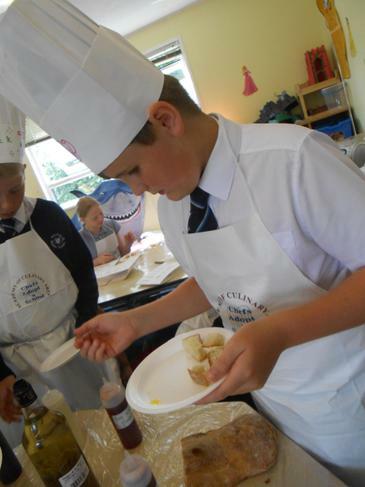 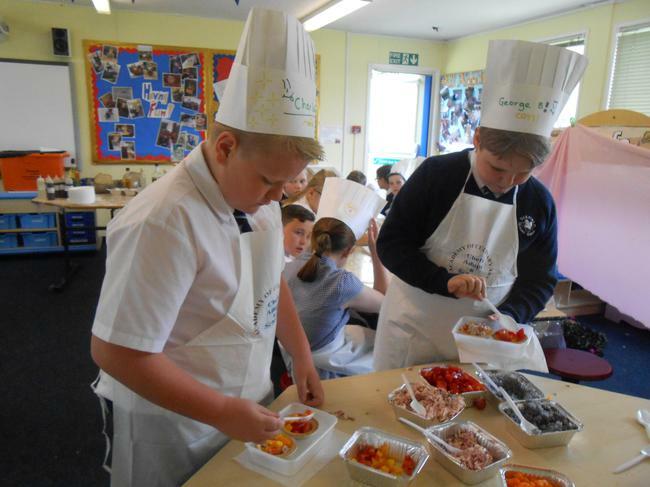 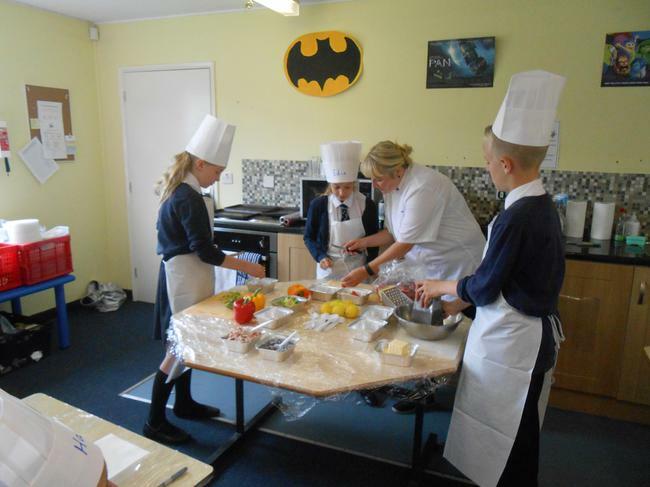 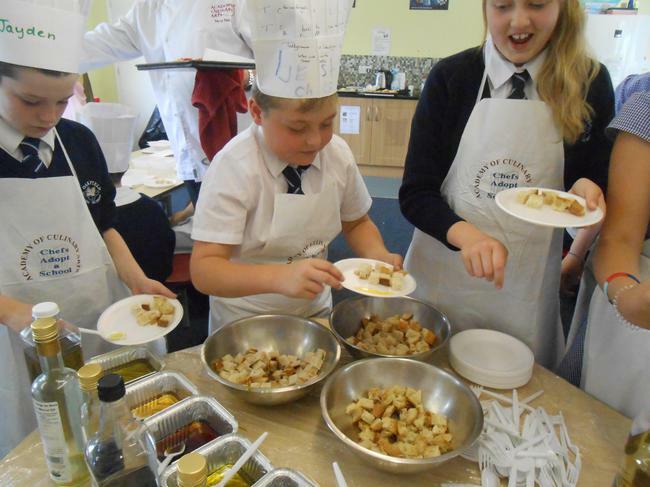 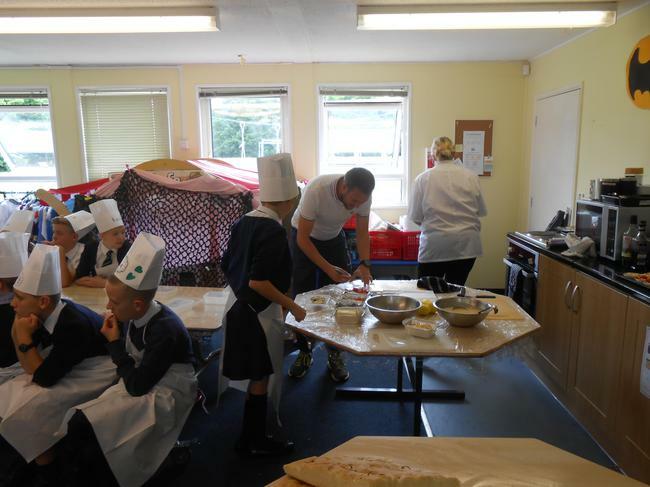 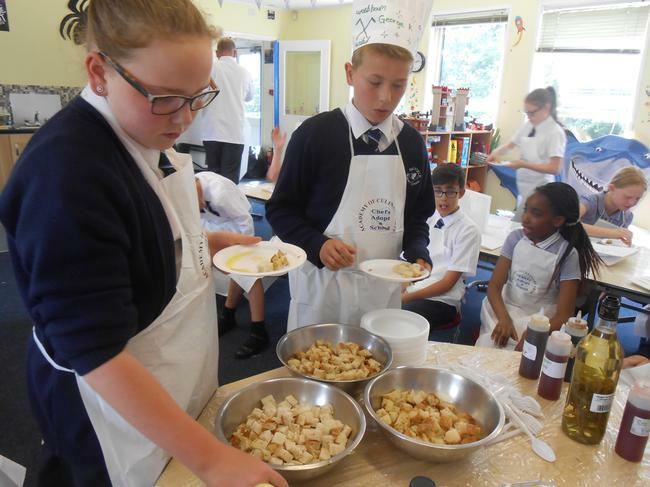 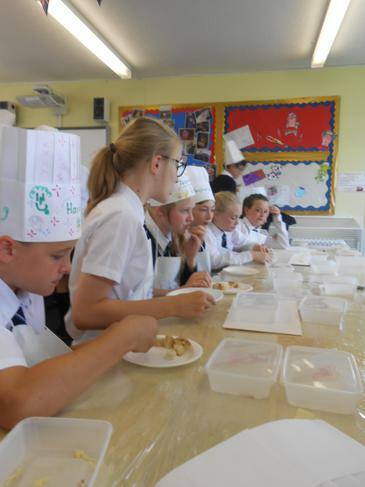 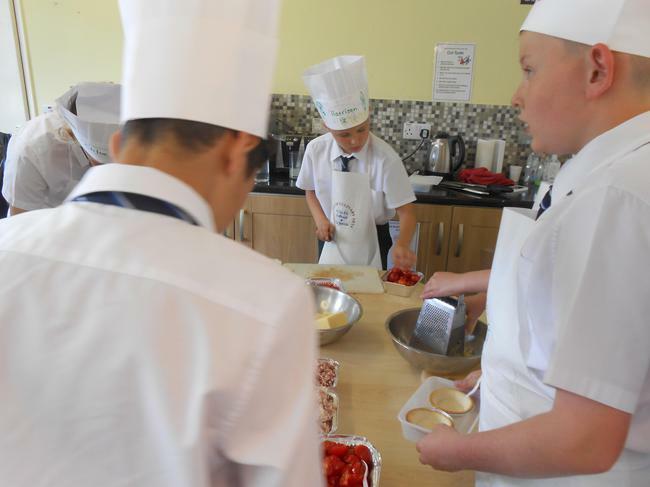 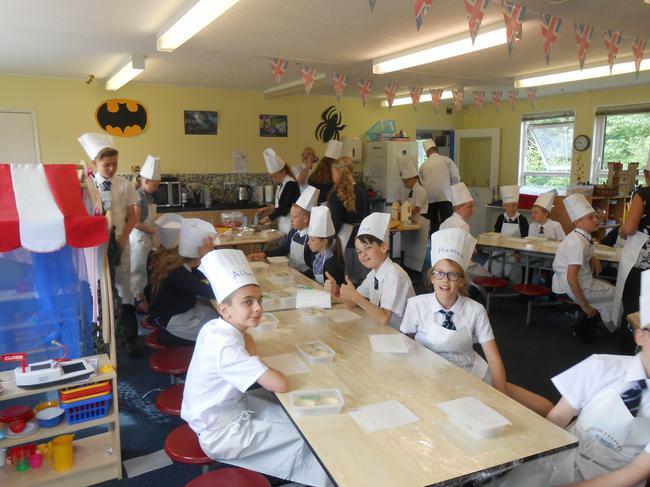 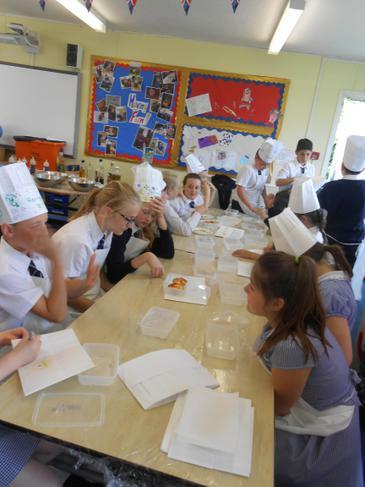 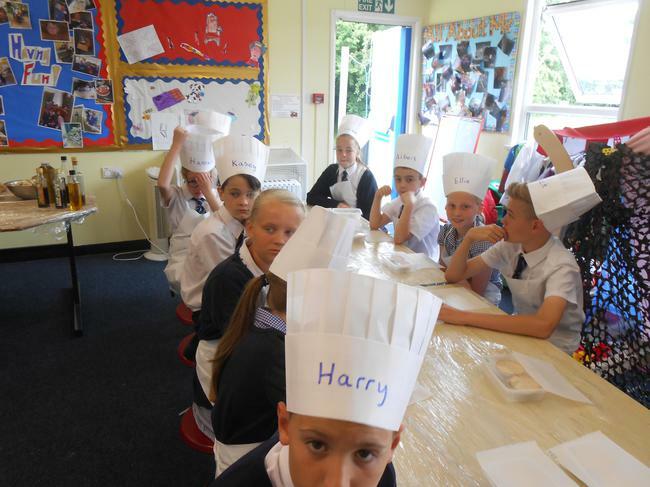 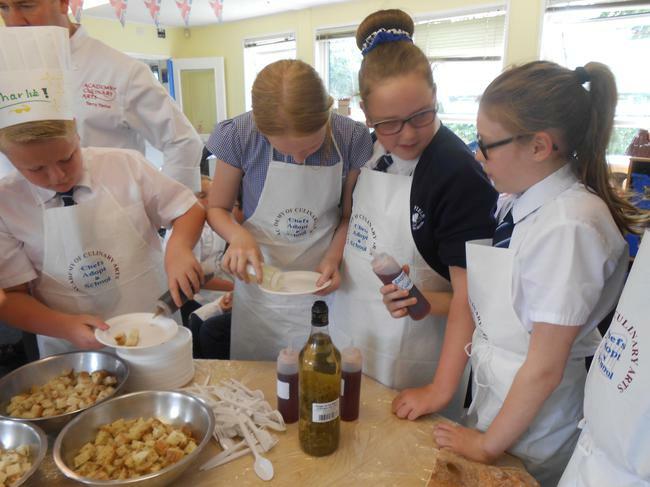 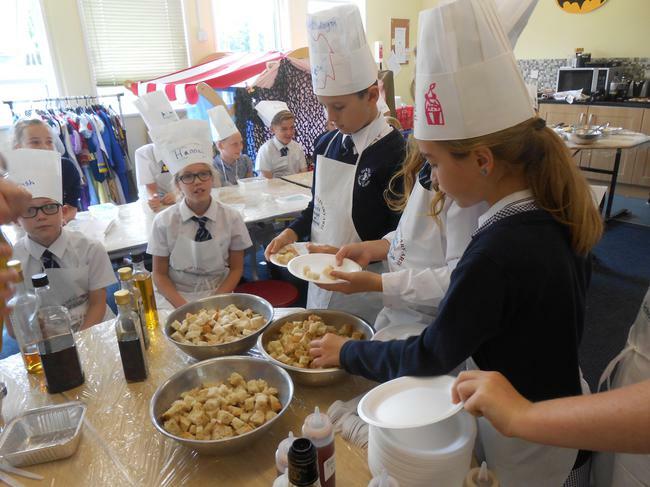 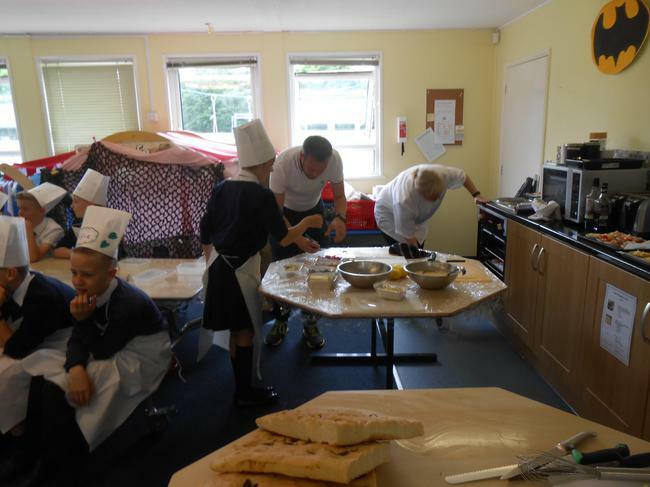 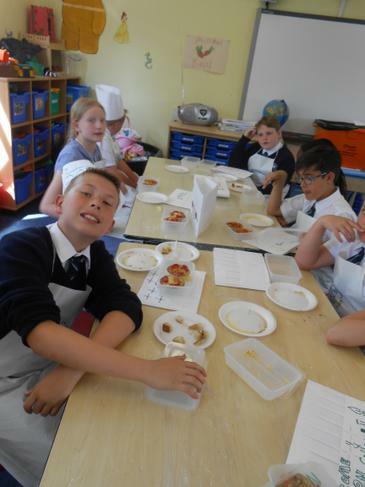 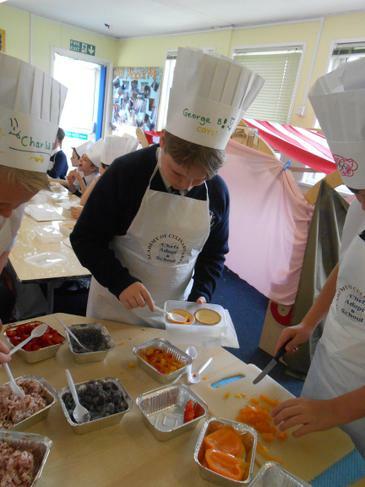 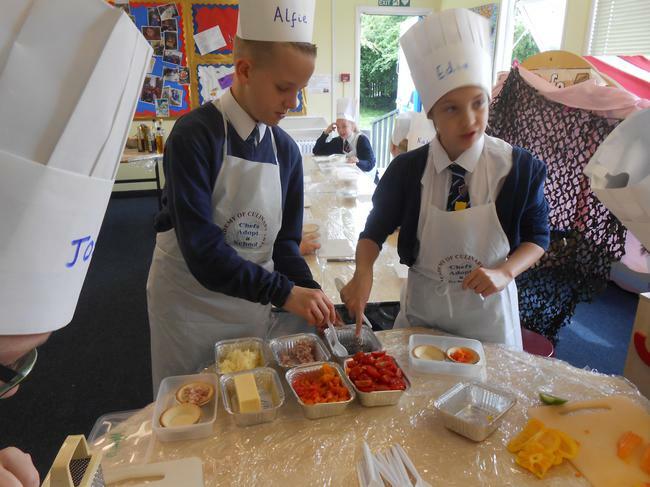 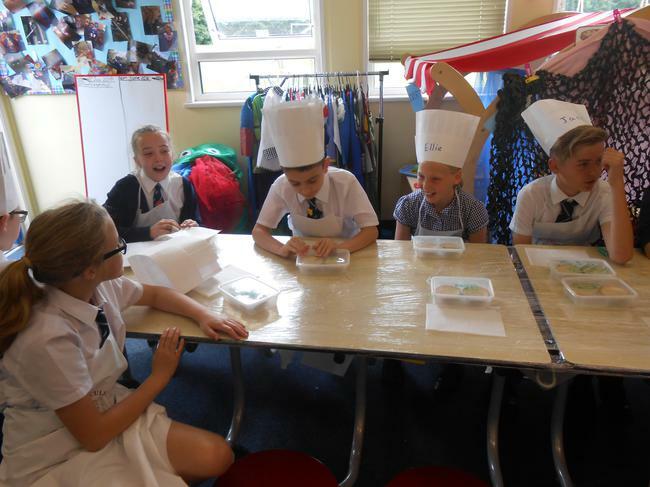 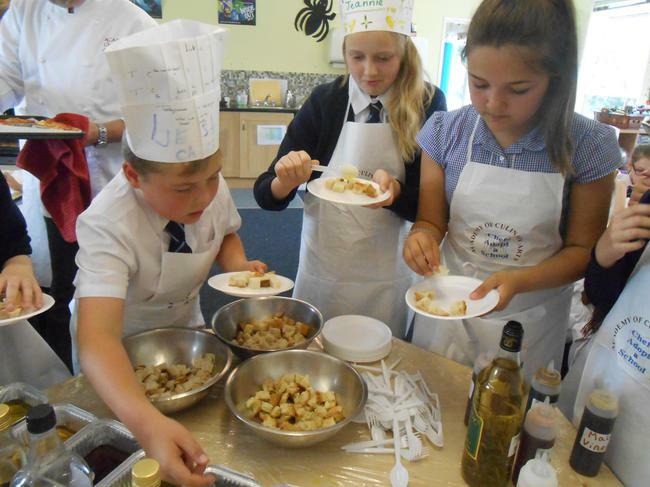 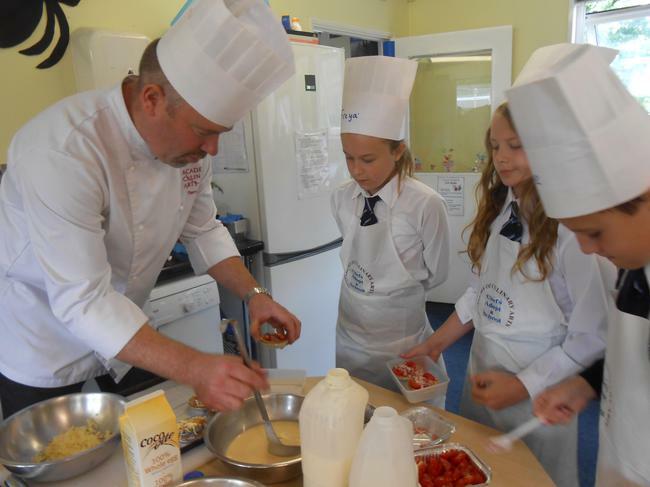 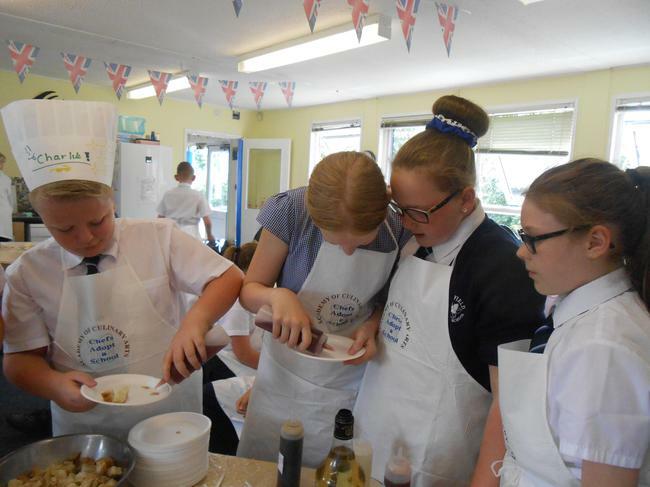 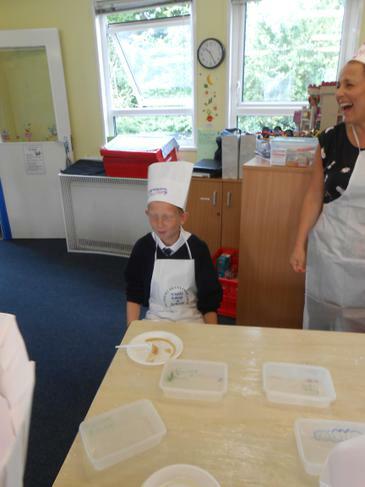 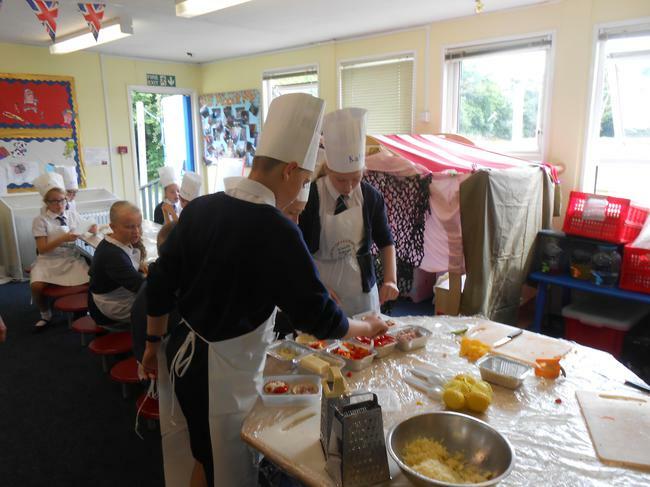 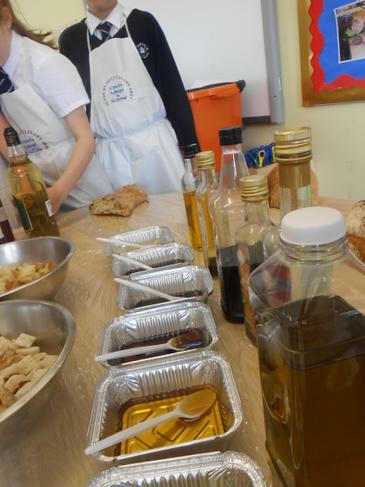 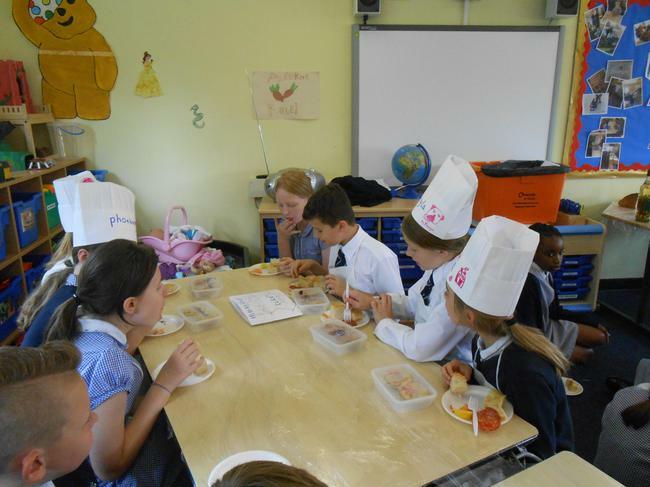 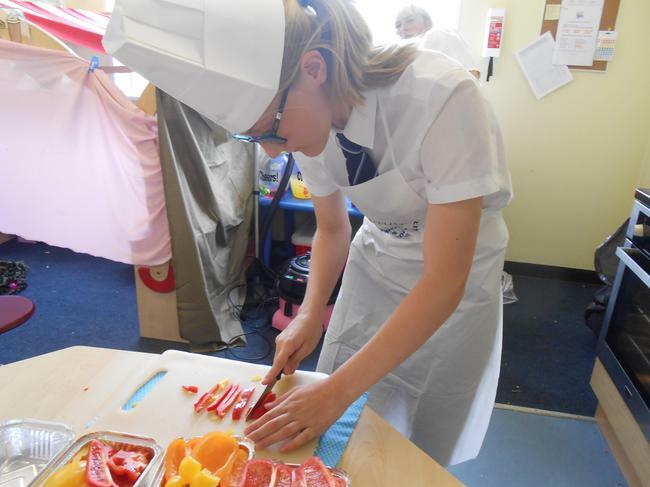 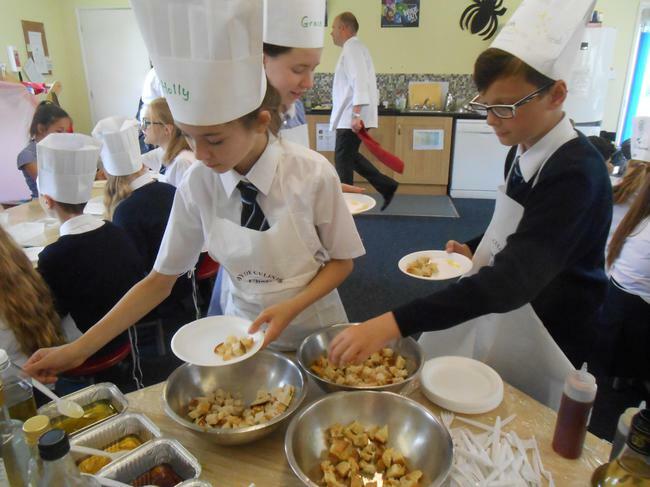 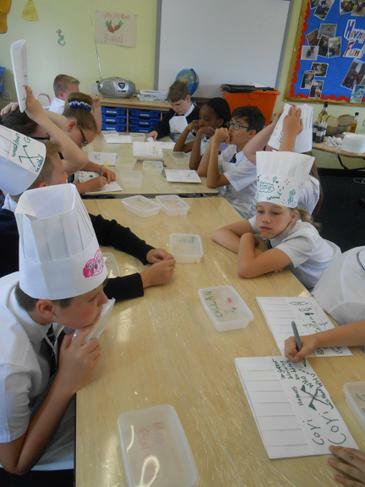 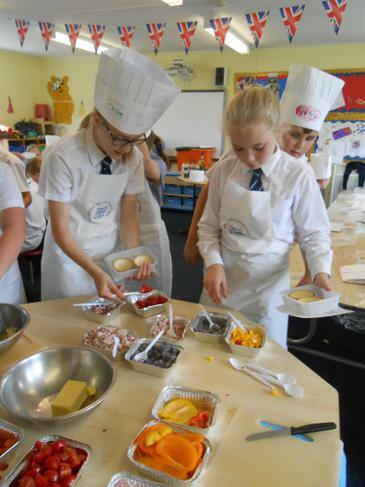 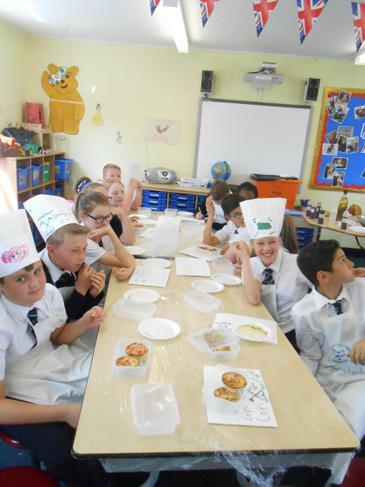 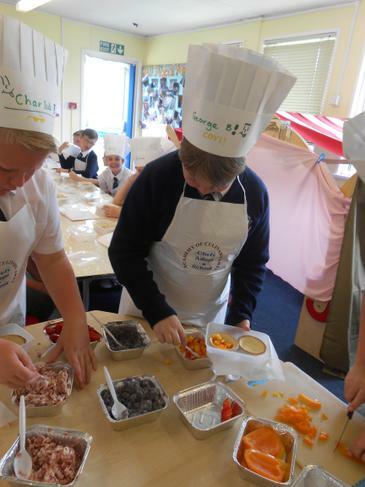 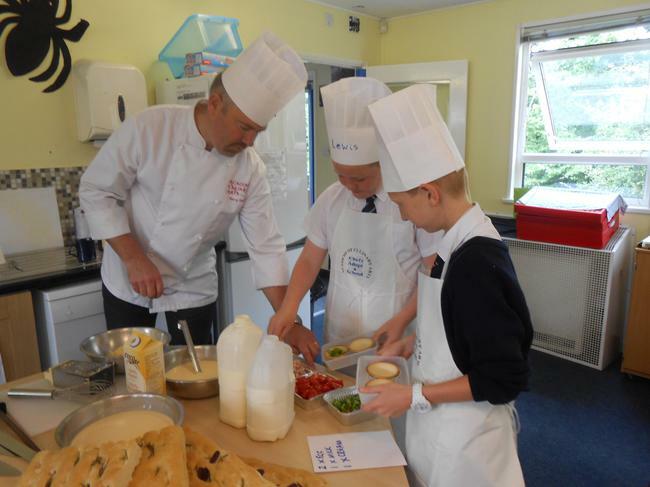 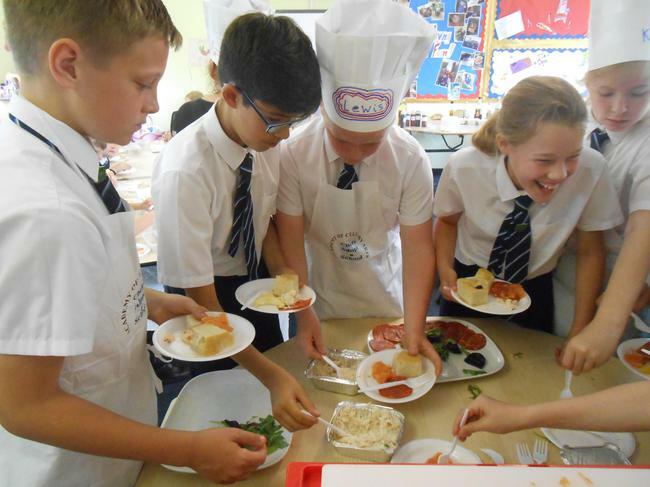 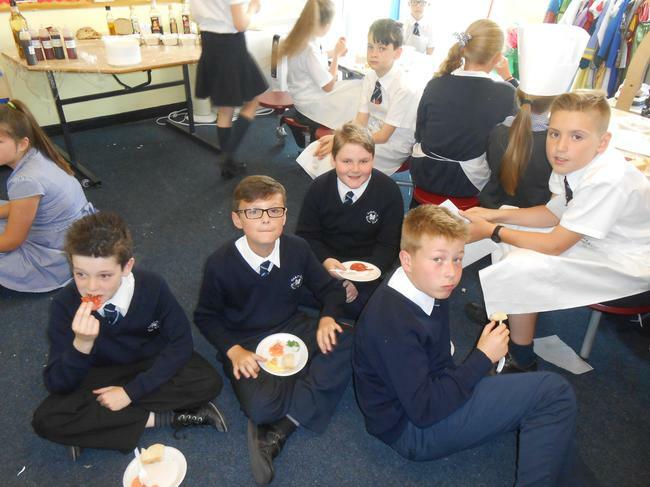 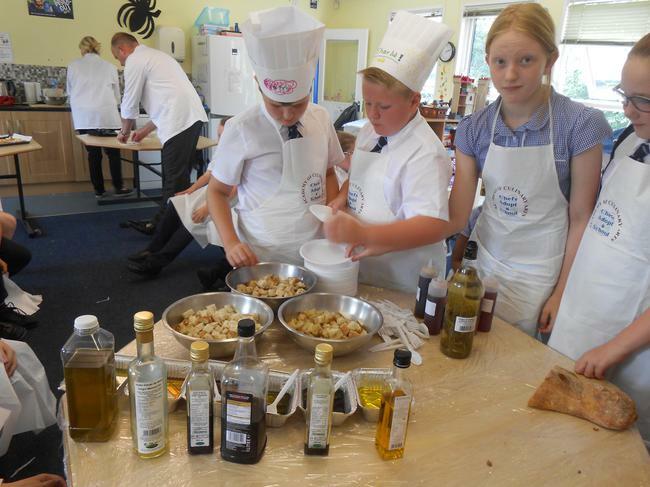 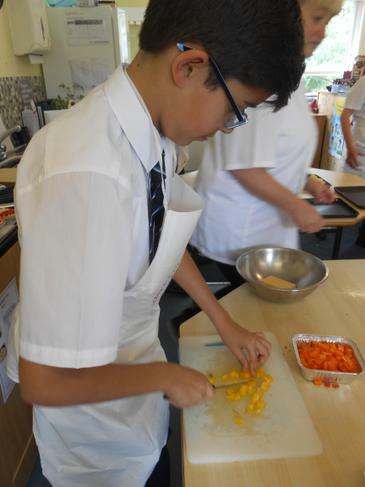 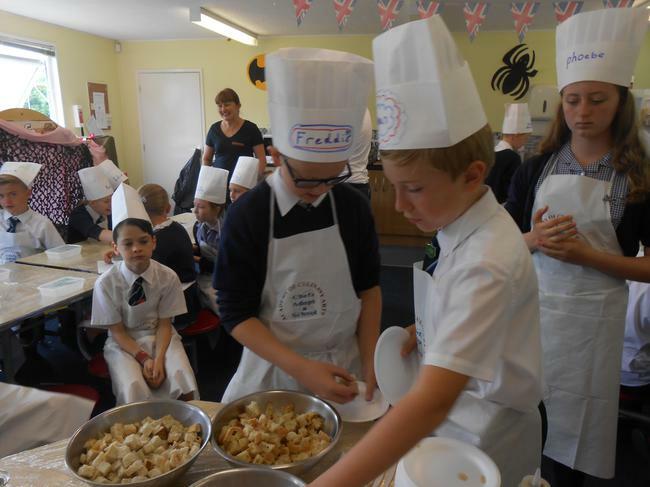 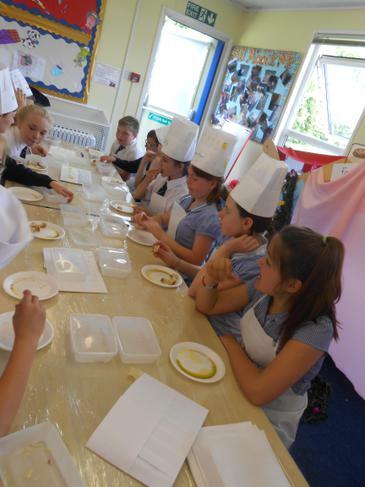 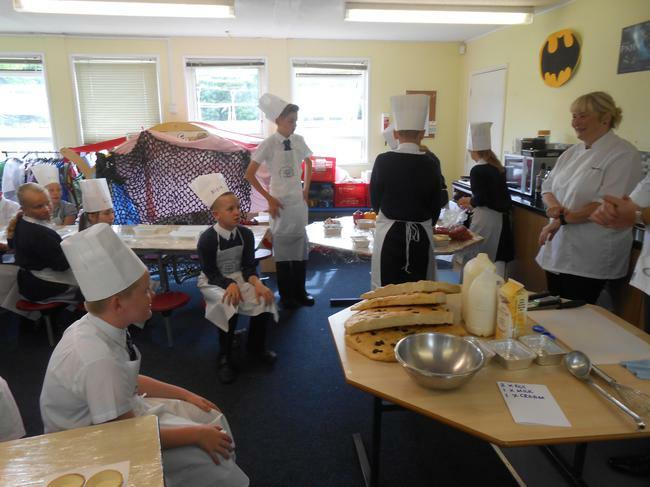 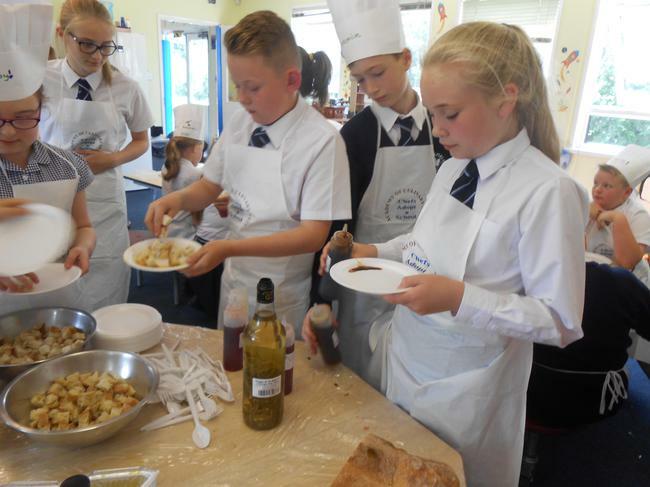 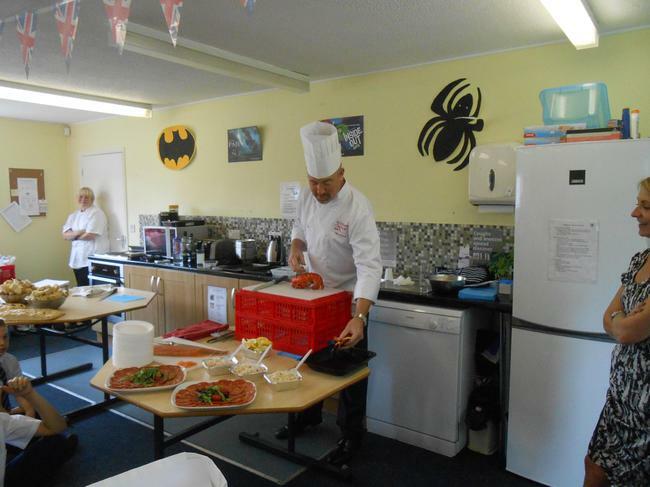 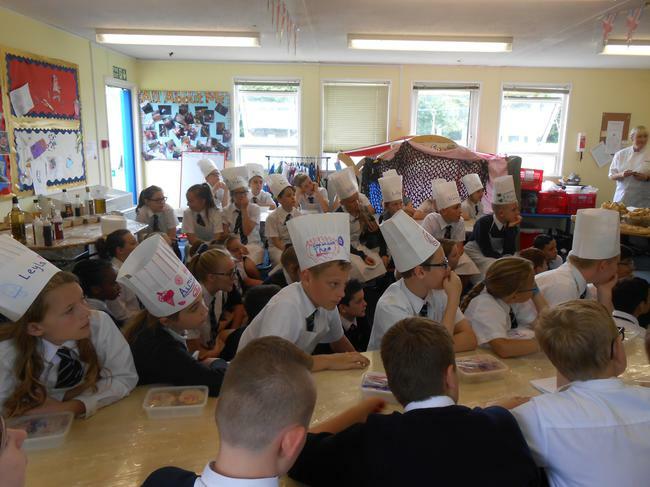 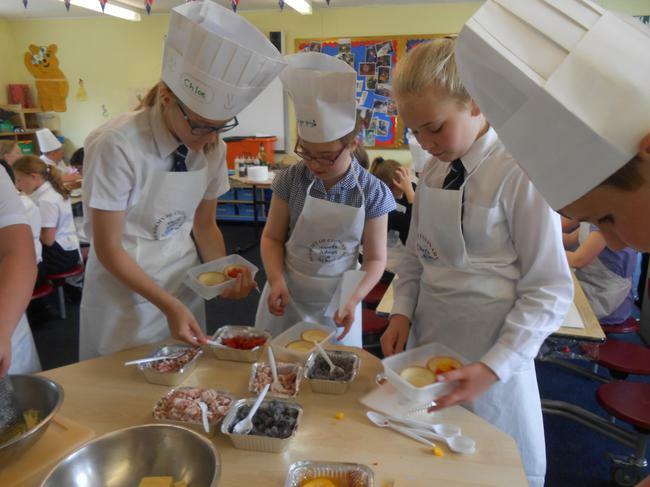 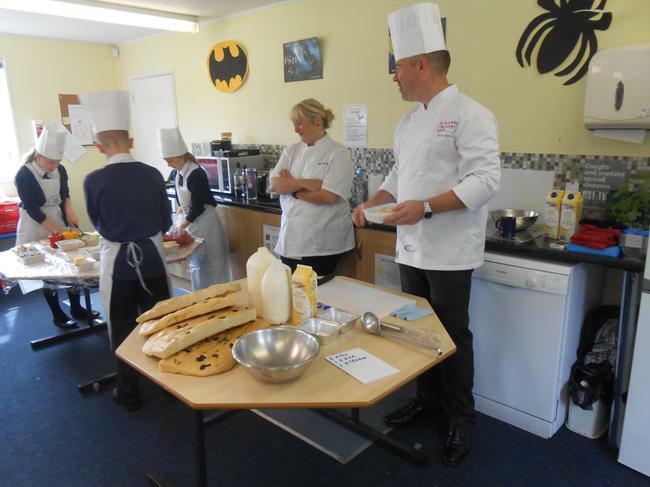 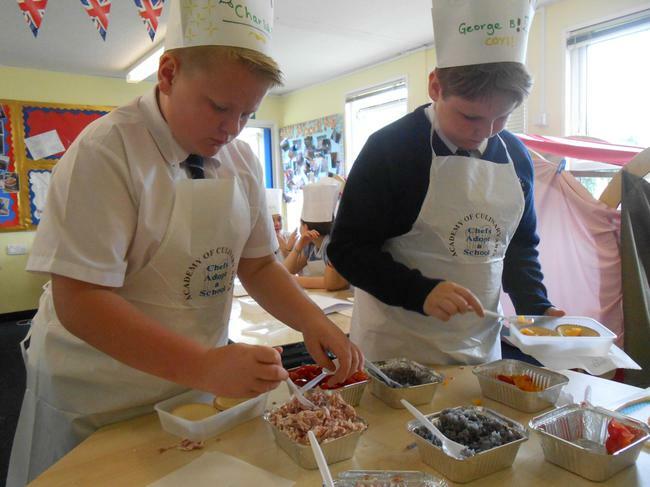 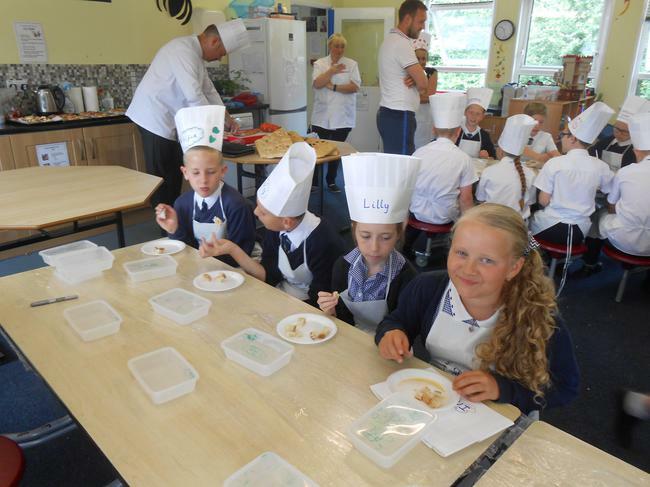 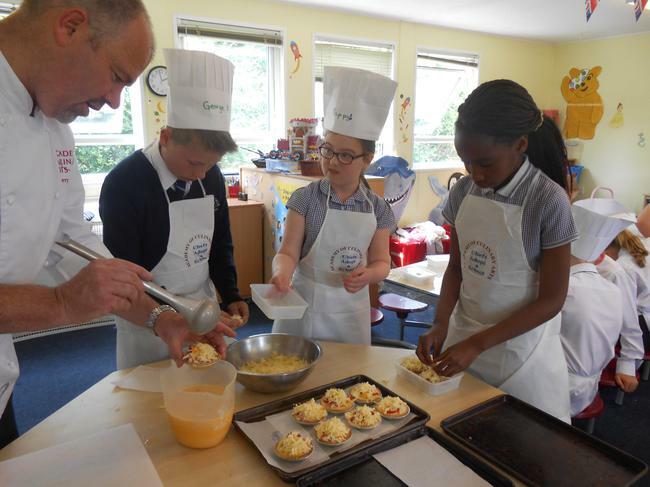 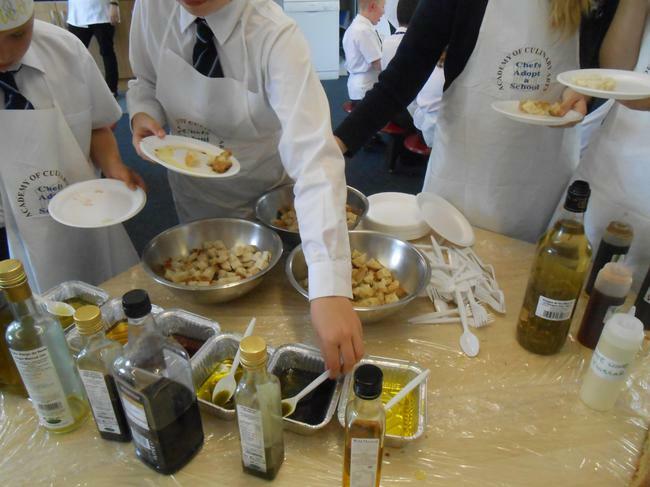 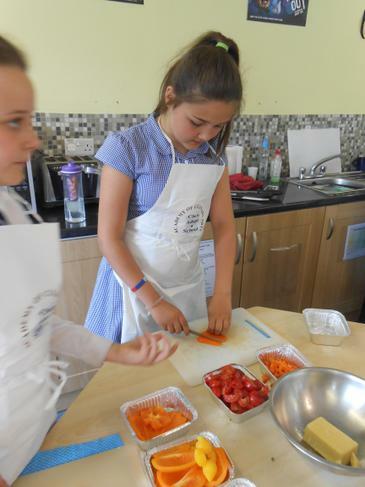 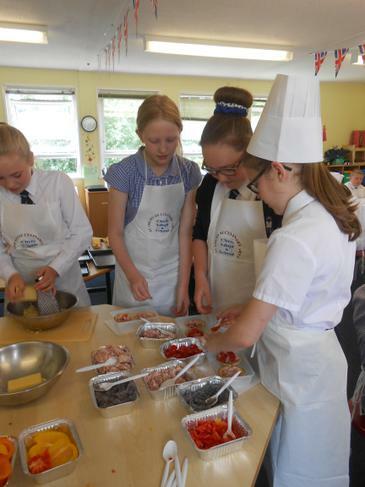 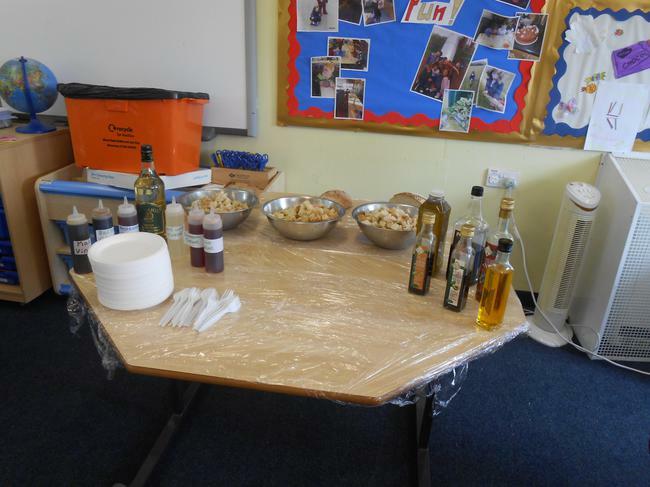 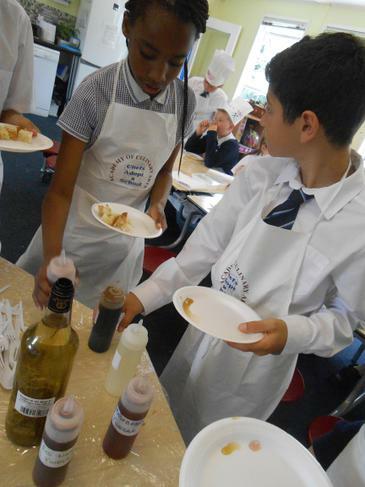 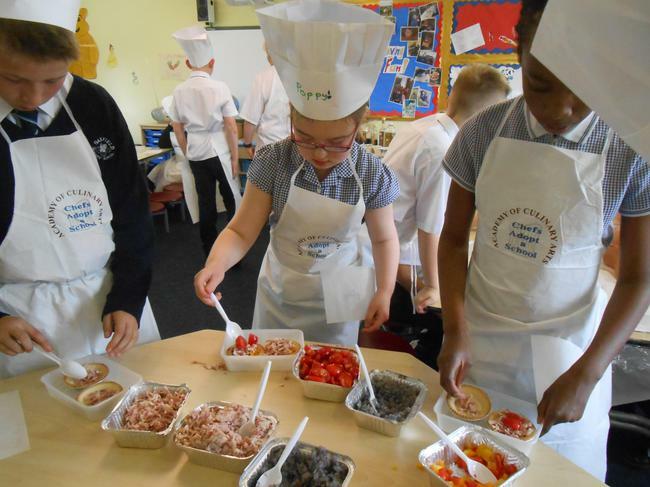 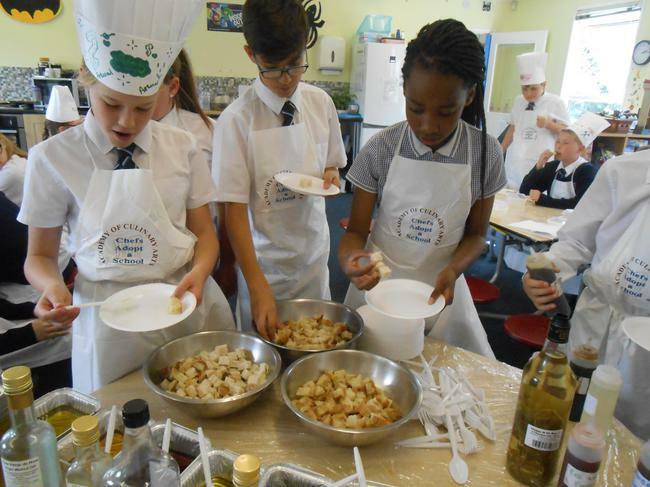 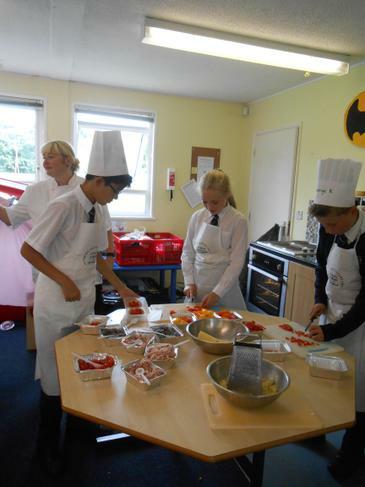 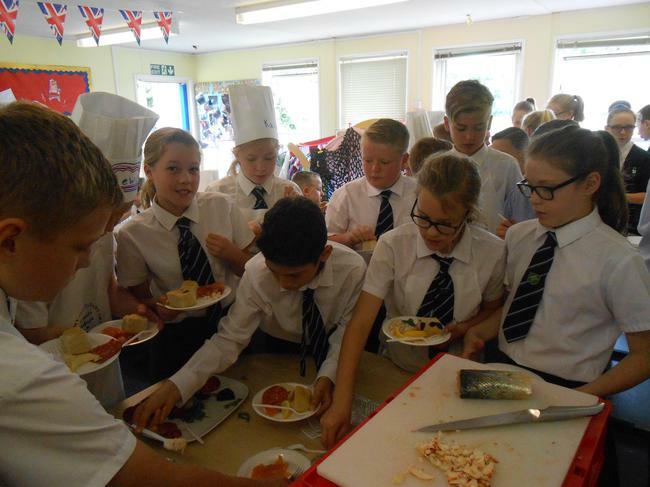 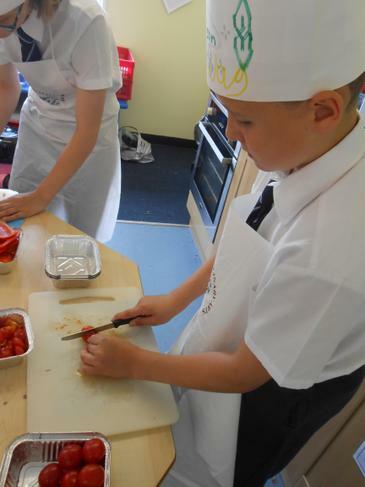 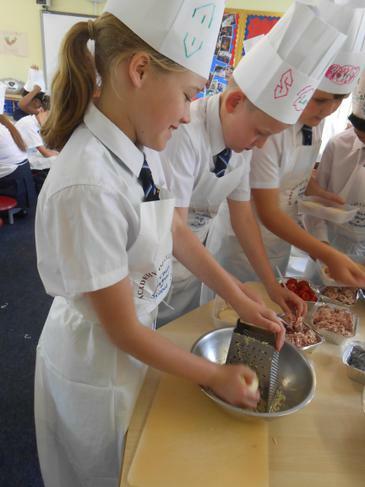 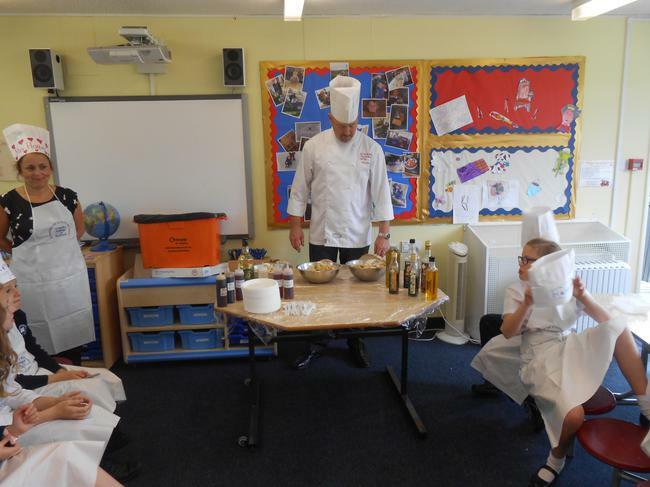 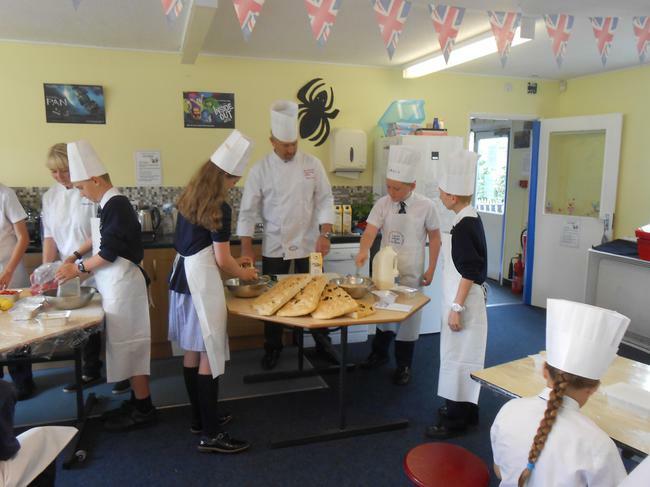 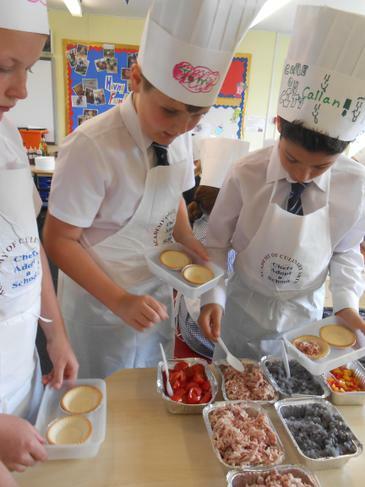 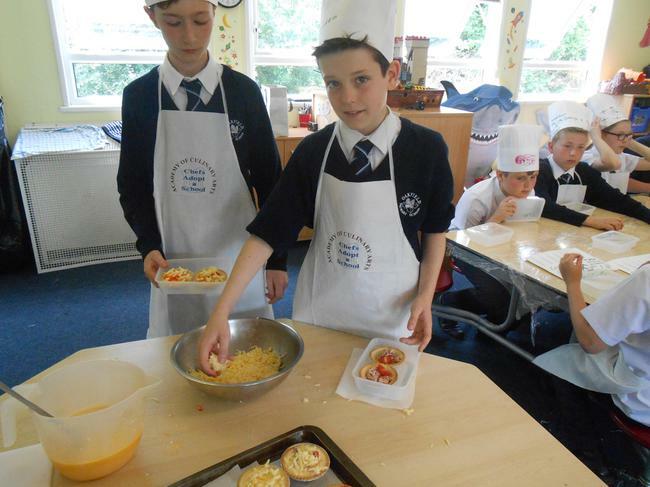 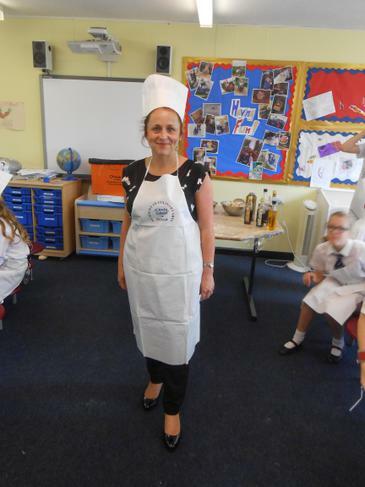 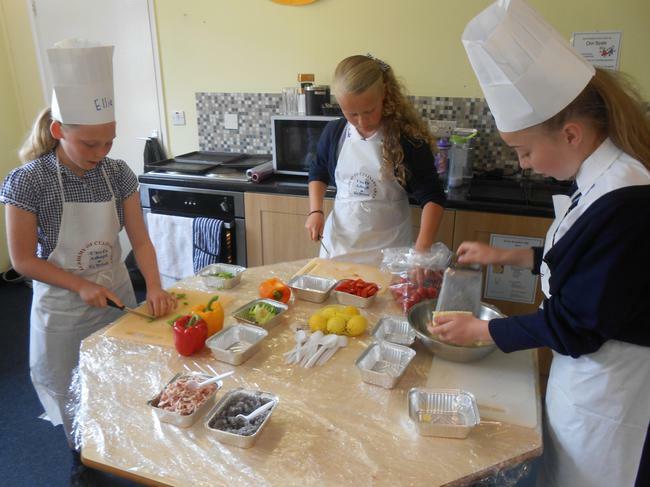 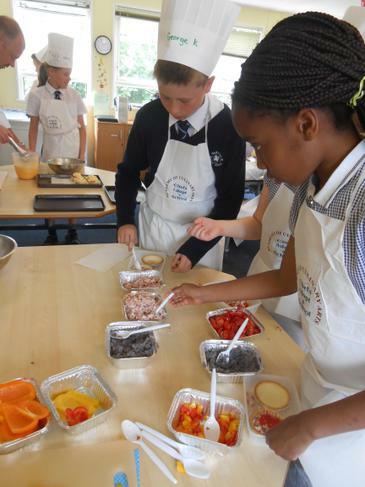 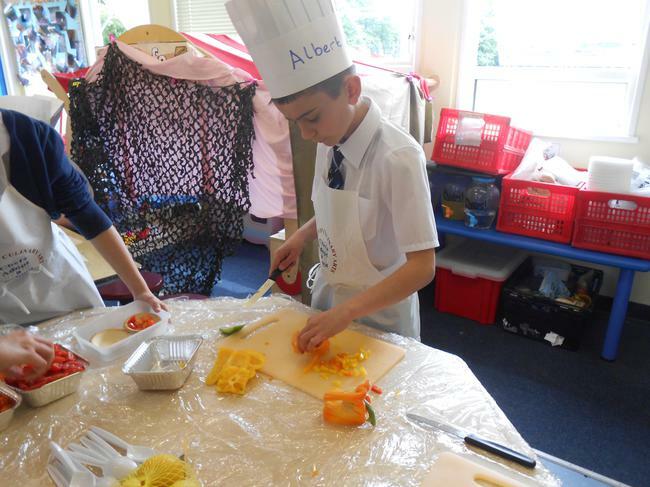 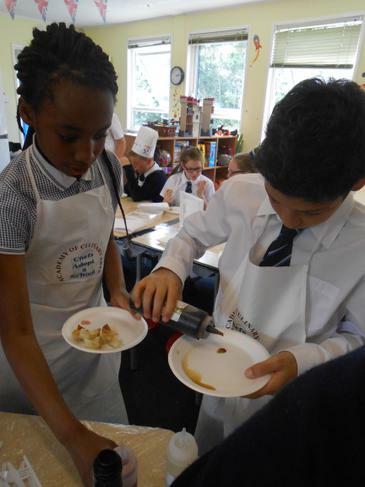 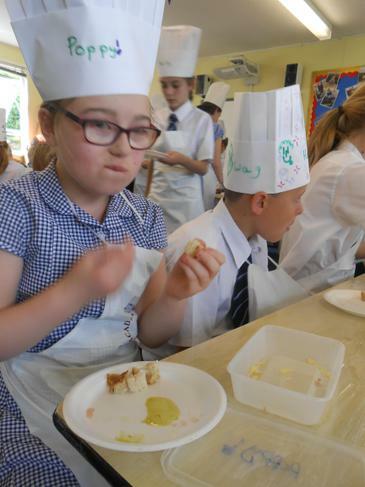 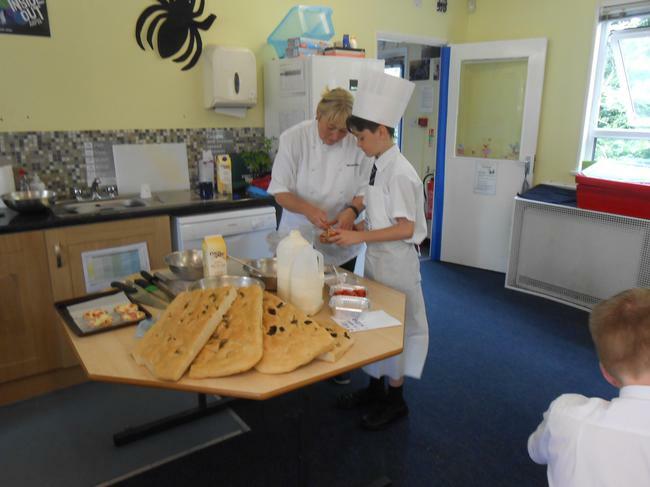 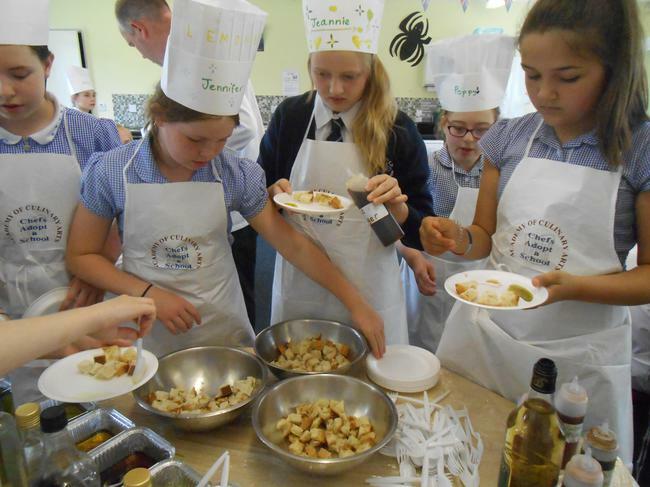 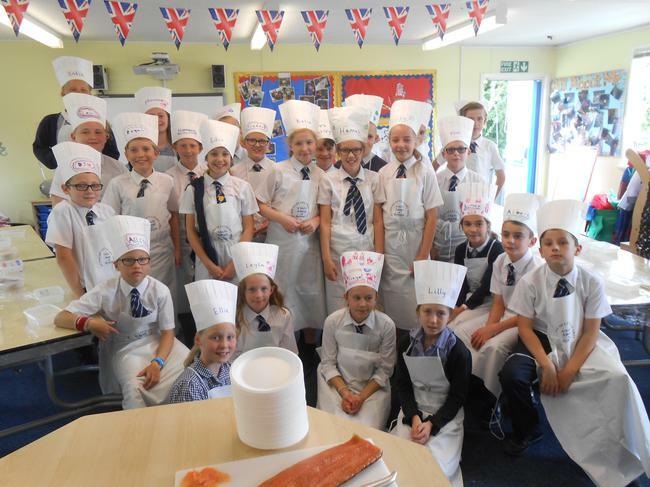 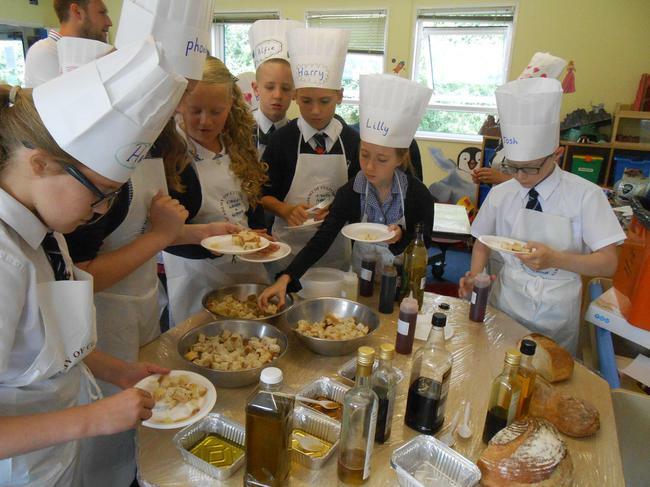 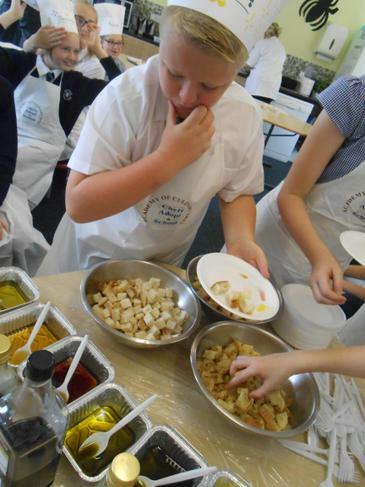 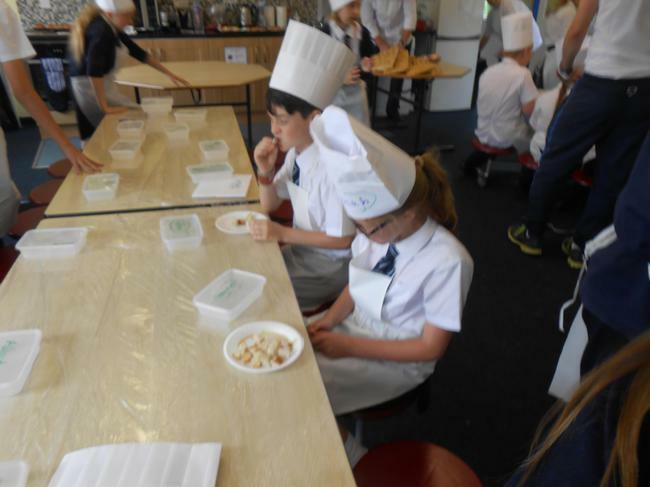 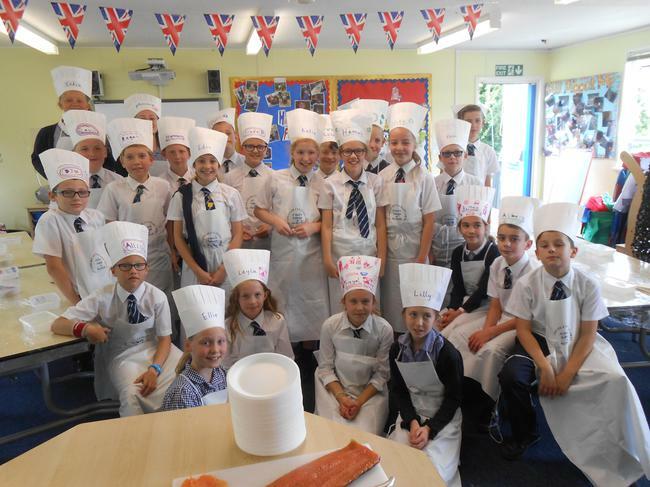 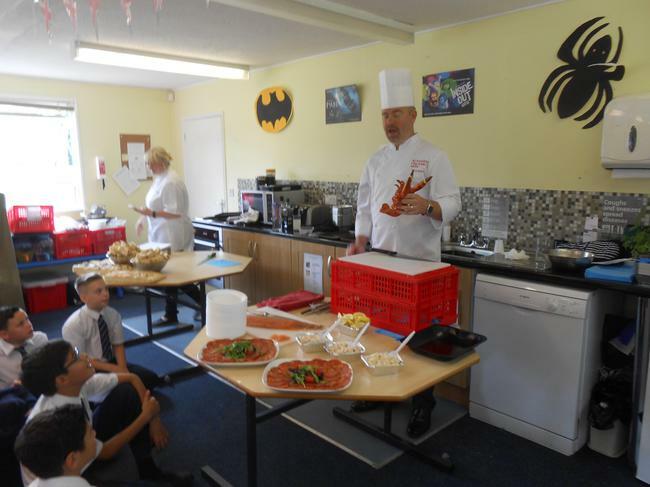 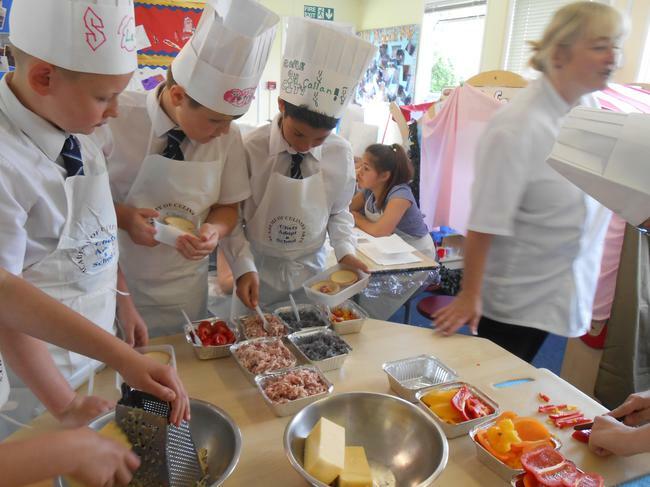 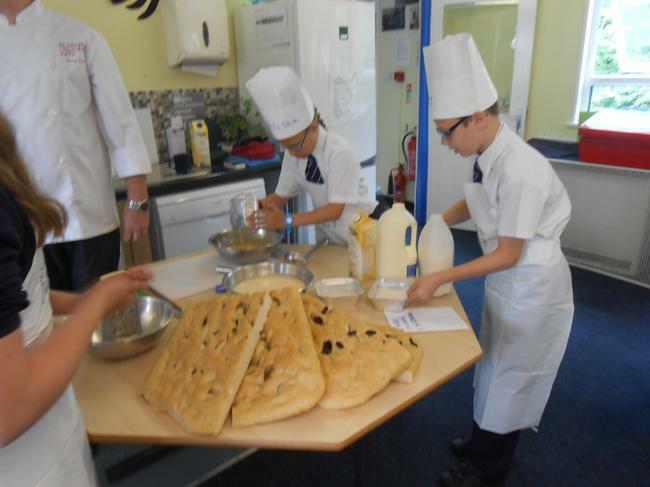 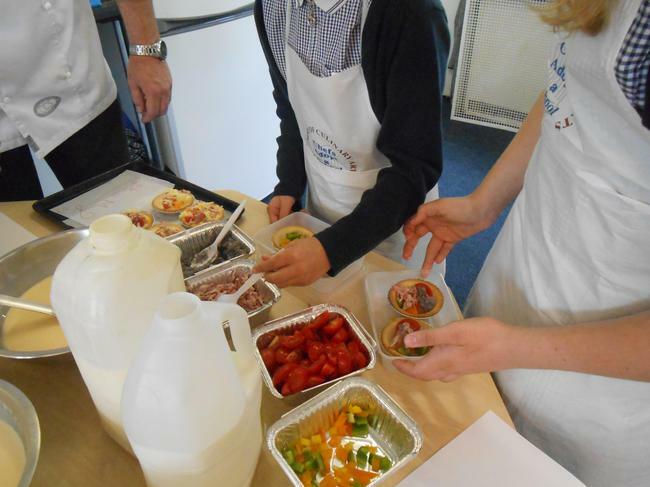 The Year 6 children enjoyed a cooking experience with Mr & Mrs Tinton. 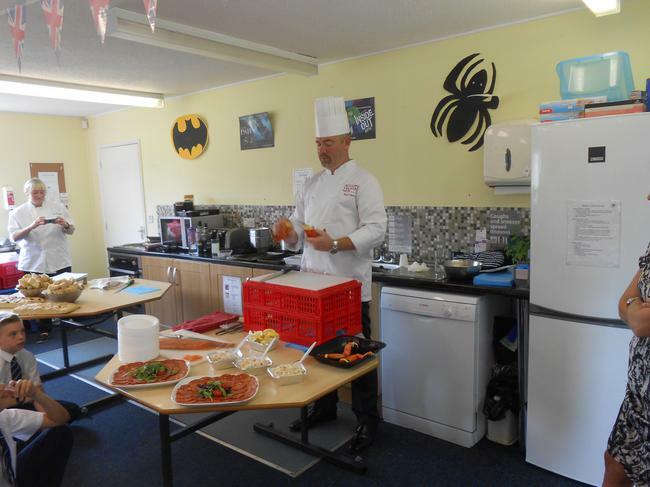 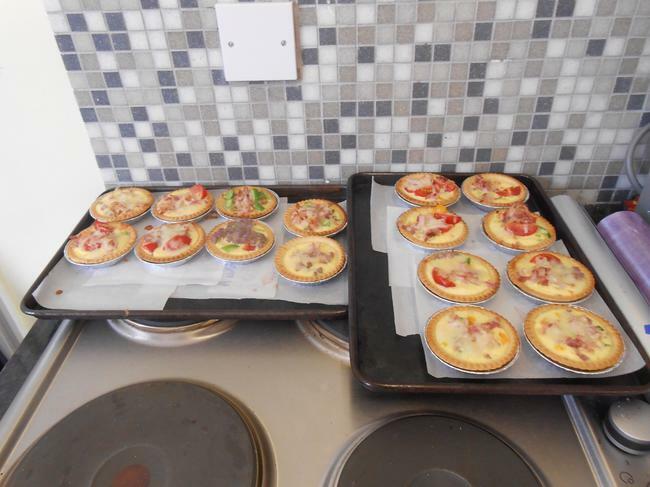 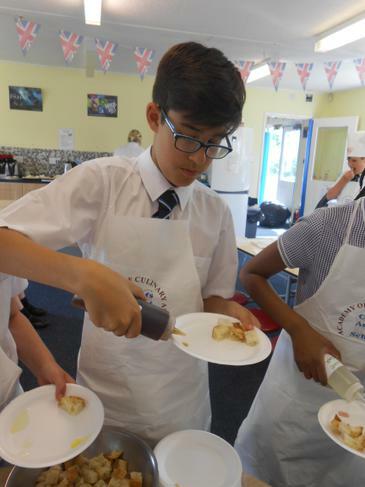 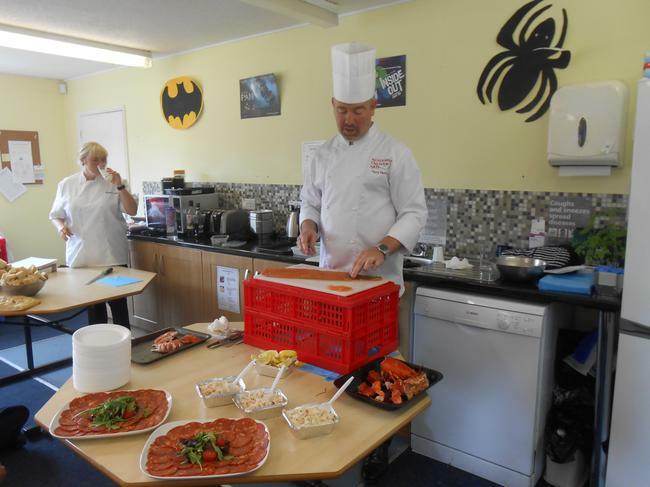 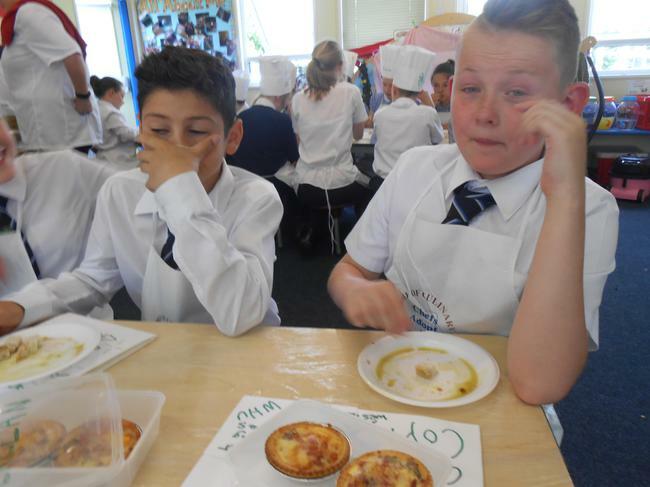 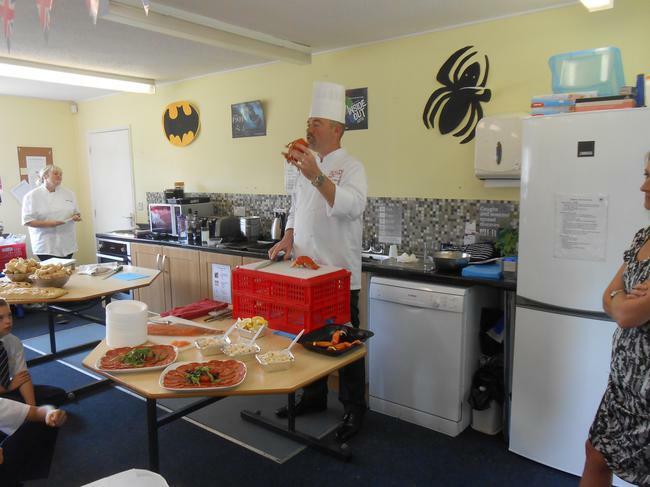 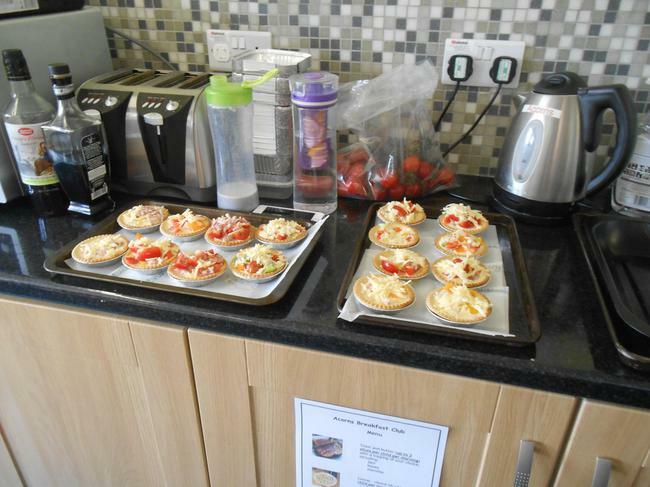 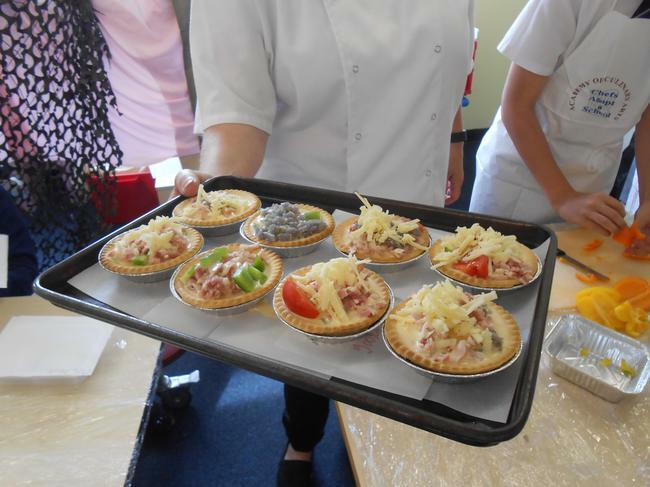 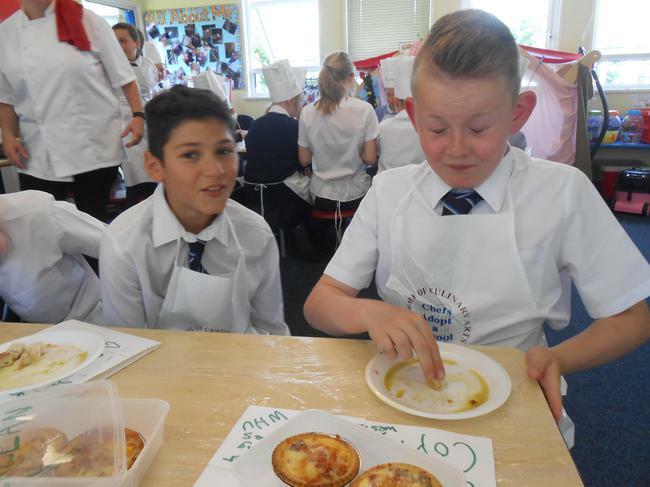 They got to make their own quiches and sampled lots of different breads with dipping sauces as well as tasting lobster, crab, smoked salmon and chorizo. 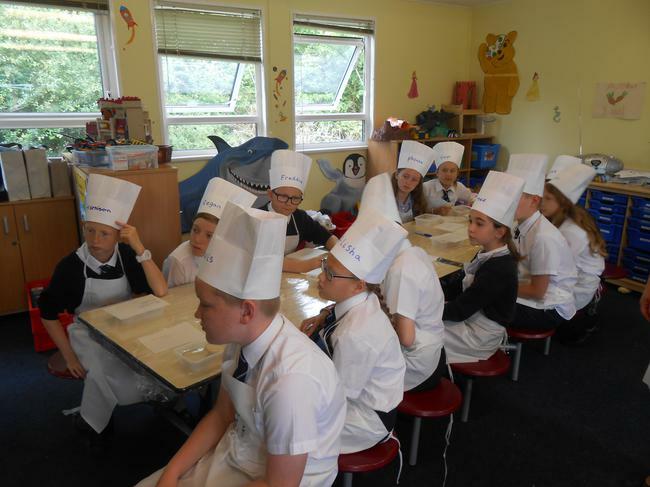 They had a fabulous time trying all the different seafood - even getting a real liking for the taste of lobster! 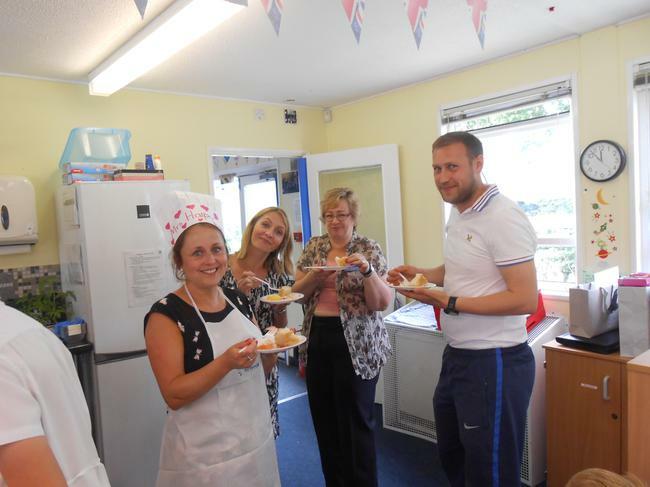 The teachers were delighted too! 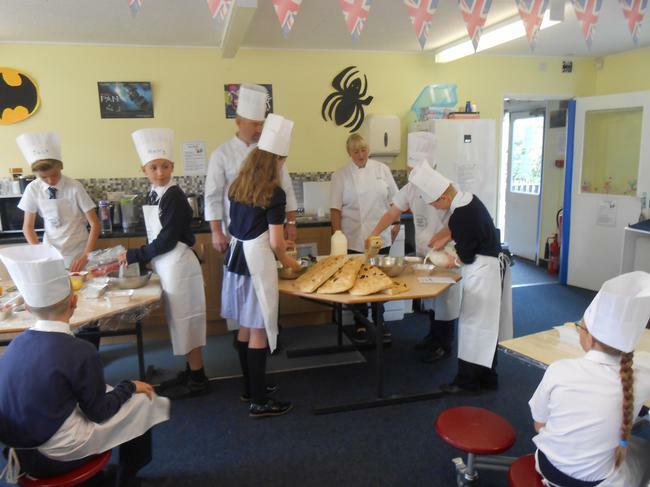 A huge thank you to Mr & Mrs Tinton for providing the children with this amazing experience.